Apple just finished their keynote announcing the new iPhone 7. The new 7 and 7 Plus include some pretty awesome (sounding) camera upgrades that should be another step forward for mobile photographers and videographers. 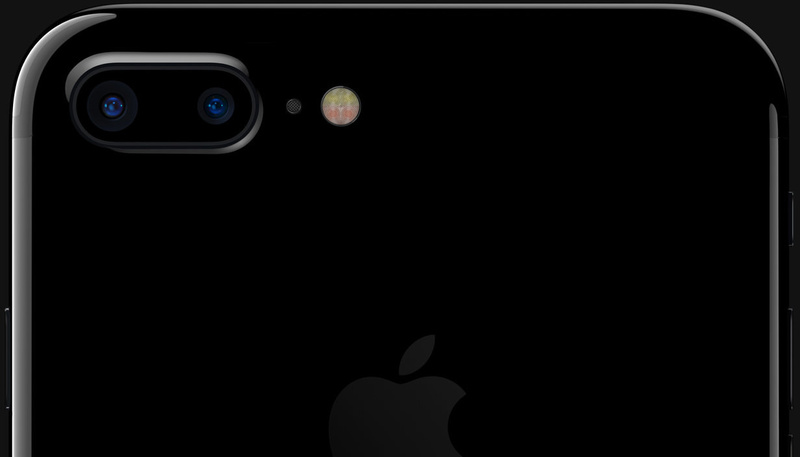 In case you weren't following along with my live blog of the iPhone 7 announcement, here are all the things you need to know about the latest addition to the iPhone family. Check out images and tech specs below. 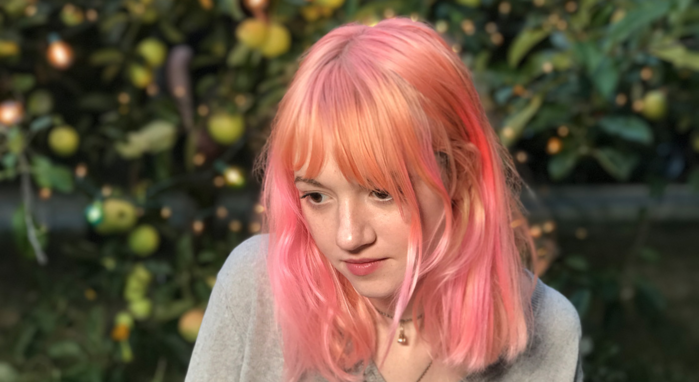 I'm rather hesitant about the new depth-of-field effect, I'm sure it will be overused and incorrectly used, but I could handle that if it is able to accurately simulate legitimate depth of field in my mobile photos. I have my doubts that it will work outside of high contrast, clean background situations. That being said, the ability to shoot in raw (on the 7 Plus) and process those directly on the phone in Lightroom Mobile, is pretty fantastic and will be a huge deal to a lot of photographers. Apple is also delivering on the rumor that they are eliminating the headphone jack in favor of a single Lightning connector for charging and using headphones. I don't have a huge problem with this, except that I often plug my phone in to charge at night then stick an earbud in to listen to an audiobook as I fall asleep. First world problems, right? And of course the brand new AppleSticks, er, AirBuds, wait no, AirPods, that's it. 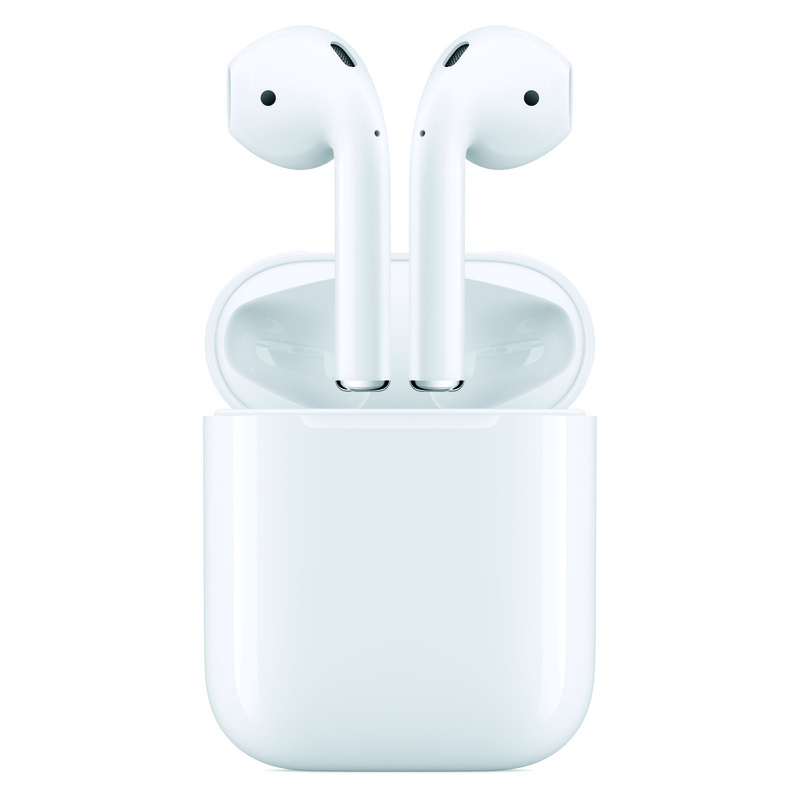 The AirPods are Apple's new wireless earbuds, that seem really cool, kind of ugly, and extremely easy to lose. Pre-order for the new phones starts on Friday, with shipping beginning just a week later. 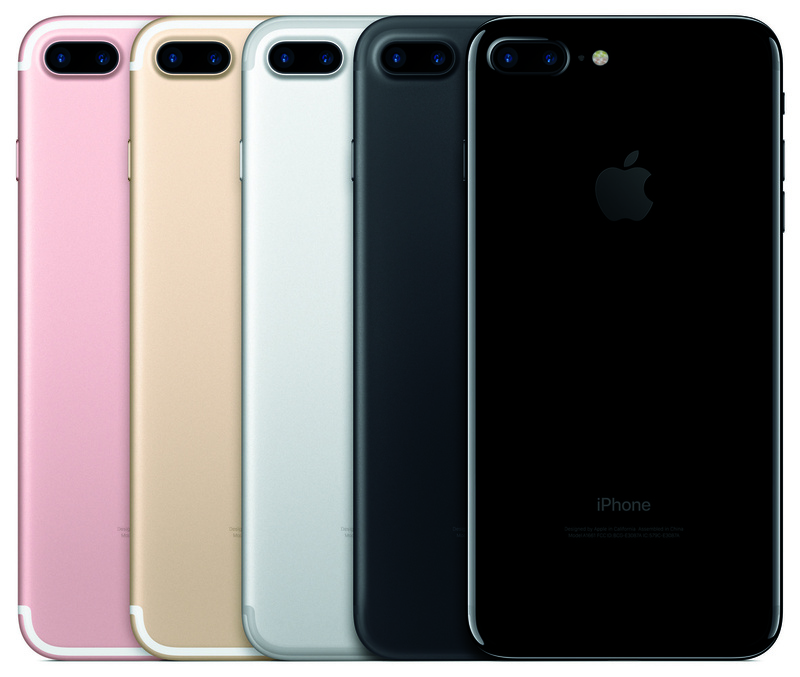 iPhone 7 and iPhone 7 Plus will be available in silver, gold, rose gold, and the new black finish in 32GB, 128GB and 256GB models starting at $649 (US), and the new jet black finish will be offered exclusively on the 128GB and 256GB models from Apple.com, Apple Stores, Apple Authorized Resellers and select carriers. So what do you think? 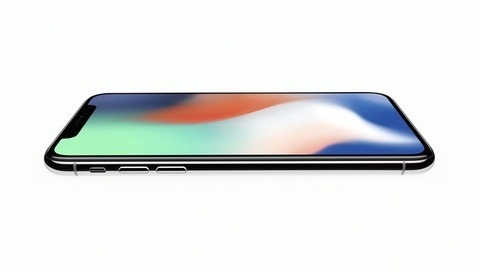 Are you going to hop on board with the newest iPhone? As neat as this is I think i'll stick with my Samsung for a while longer. Really liking the look of the grey body though. I think it's Jet Black for me, looks sooo clean. 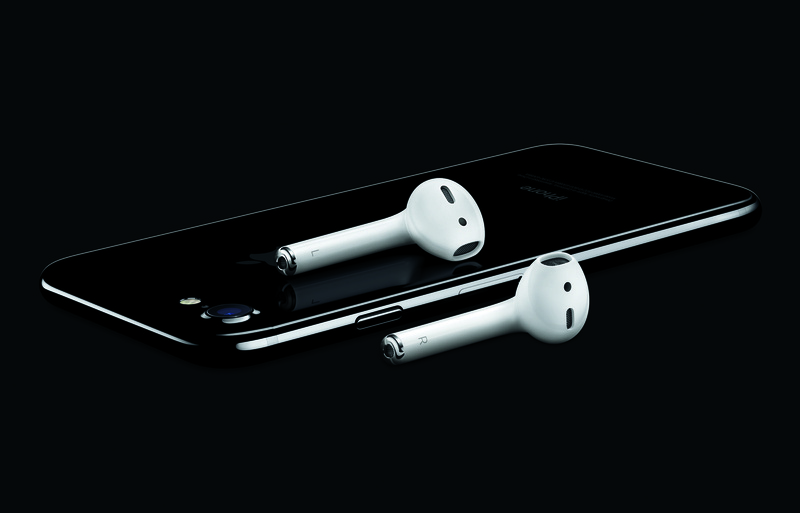 I can't get over the hissy fits people are having over Apple removing the headphone jack. I've never been crazy excited over phones to the fanboy level. As long as I can use IG, Snapchat, Facebook, and Youtube. I'm a happy camper. Android always error-ed out on me all the time. So I switch to Apple and haven't had a problem since. While I'm not one of the crowd shaking an angry fist at Apple for removing the jack, my main concern is the number of times I find myself somewhere with surprise time on my hands, and a bag that, for some reason, doesn't have a set of emergency headphones hidden in one of the pockets. It was nice to be able to just grab a cheap set to help me drain out the deafening silence from the nearest 7-11. I guess we all need to adapt. This is awesome. In 10-15yrs Nikon & Canon will be gone. Wedding photographers and album mfg gone. Who needs an album when clouds are everywhere. Uncle Buck can fly the drone. Mom & Dad can get the kids pix. Use an app so everyone looks perfect with a happy positive expression. Use an app for a perfect background with good color coordination and a slight blur. Then an app posts to 99 social media outlets with all the other perfect people. This is awesome! What you are saying has a very little possibility of happening not unless developers and engineers finds a way to mimic creativity. Not really, it's actually the opposite from what I've seen recently. Mobile devices are killing the Point and Shoot market but driving sales to the Mirrorless/dSLR markets are people are seeking better quality. Plus there's only so much you can do with sensors you can't beat the laws of physics and current generation sensors are only showing more incremental improvements to Dynamic Range and sensitivity. Also it'll be interesting to see if the iPhones have finally caught up to Nokia's Lumia series of cameras for image quality. The Samsung Galaxy Note 7 still blows me away (no pun intended). I am just waiting for the battery issue to get fixed and time to ditch my iPhone 6 Plus. 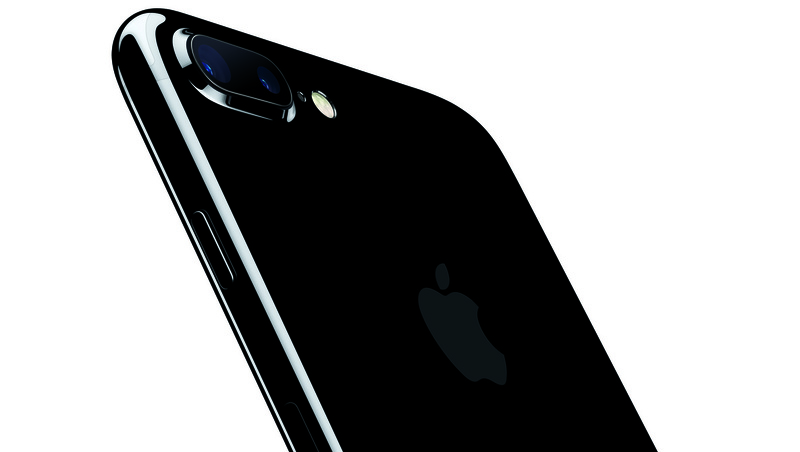 The new phone [iPhone 7] is definitely an upgrade from the iPhone 6s - BUT, the features offered will not par anymore with other mobile handsets. The only thing that I can praise Apple for is their software and hardware working together smoothly. First up, I'm a fanboy. My dad worked I.T. for small businesses using Apple growing up and it put food on the table etc. I was raised on Apple. 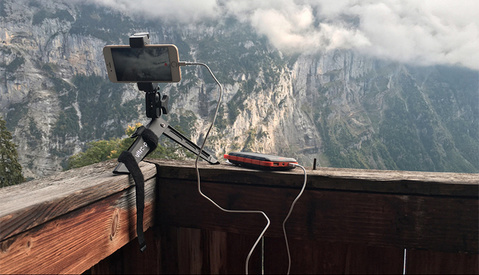 I was fortunate to be a part of the first Shot on iPhone 6 campaign. I'm excited about this new update but not that impressed with the bokah "sneak peek". I'm sure it's going to be good in certain scenarios, lighting, key backgrounds, no flyaways from hair etc. The one they used in the keynote is a great example. Closeup portrait out of focus blue sky and soft street lamp. But as I suspected(as seen in this photo), it's going to be subpar. Much like those of yesteryear that would take an image into photoshop and add gaussian blur, it didn't fool us then, it won't fool us now. Whoops, left that in my live blog post and not this one. Good catch, updating now! The ear bods look like a hair blower... ugly. It doesn't have a normal headphone jack. Really?? Aaaw it's Apple. So you gotta buy adapters for good headphones... Adapters, adapters, adapters. I had an iPhone 3Gs once. It shredded all my data and music a couple of times while updating to a new OS version. Cost me weeks in total to get back to normal. It was a pain in the a.. Really happy with my Nexus 6. Still rocking after 2 years. 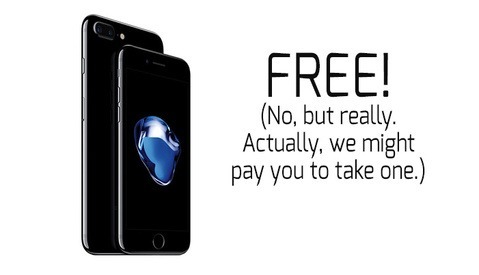 No more overpriced Apple crap. Adapters are just our crutches as we hobble to the future of wireless. In a few years, we won't be worried about adapters nearly so much -- because adapters still mean wires. It's just a matter of time, but soon enough, we simply won't need any cables. And adapters will vanish along with all those cords. Do you know the impacts of all the electromagnetic smog caused through wireless systems on animal life? Sure it is really convenient but you have to consider that too. I'm pretty skeptical about that given the research and claims made by some seeming quite far-fetched. But let's just say it is a thing -- we're talking about extremely low-power wireless, here. So it's especially a moot point. Yes, point taken. But another problem with wireless signals is that the more there are the more interference you have which can cause a big problem when everyone is listening to music via wireless connection. I'm not against the future, but these wireless earphones mean having another batteries to charge and my bag is already full of battery chargers. I don't really understand why they always have to force people to adapt, you want to make Airpods? Fine, but let me use the cable if I want, otherwise, not only I have to bring another cable to charge them but I have to bring the charger as well. With a small adapter if I don't want to charge the phone. With a big adapter (not from Apple and that I have to buy separately) if I want to charge it. The device will be shipped with an adapter, no need to spend extra bucks on it. And if you do not backup your device before changing the OS, well, you really cannot blame the company for this incompetency, can you? How much will Apple make selling adaptors for people who lose or need extras? This is just another way of vendor lock-in and is a user hostile design. That and Apple cables seem to fall apart easily. $9 an adapter, and I guarantee you Amazon and everyone else will come out with a $5 alternative. What will be interesting is to see if Apple is able to push out the 3.5 jack as an industry headphone standard. SPOILER: they won't, the music and audio industry relies on it too much and it works too well for that to happen. Any time soon at least. I thought the DAC/control chip was inside the dongle and if that's true, considering Apple's past tactics, they'll restrict knock-offs by licensing. It's also $10 adaptor that if you have to replace 2-3 times adds up fast as well, it's an unnecessary expense at the end of the day and another cable to carry. Yeah it will be interesting to see if they implement the same sort of lockdown that they've done in the past. I don't like buying extra adapters, but it doesn't feel all that different from the numerous charging cables I've bought to leave everywhere I might need them; office, car, briefcase, etc. It's the fact that's it's one more wire I have to tote around that irritates me. Also, why no wireless charging??? Well thank you for the insult. In fact my device was backed up but the updates destroyed my music library (4 times in total if I remember correctly) and I couldn't sync anymore. Getting it back to sync normally was a real hassle every single time. So YES I blame Apple for this dear fanboy Sascha! Maybe it is not always the user who is to blame. Have you ever considered this? Maybe it was Apple's fault, but because it shredded one music library doesn't make all products Apple makes crap. Did you see that they sold a billion phones? There must be at least one or two in there that haven't shredded data right? iPhone is the most successful mobile phone for a reason.